Tourism of Beijing has been developing by leaps and bounds. The development of tourism is bond to the develpoment of hotel. 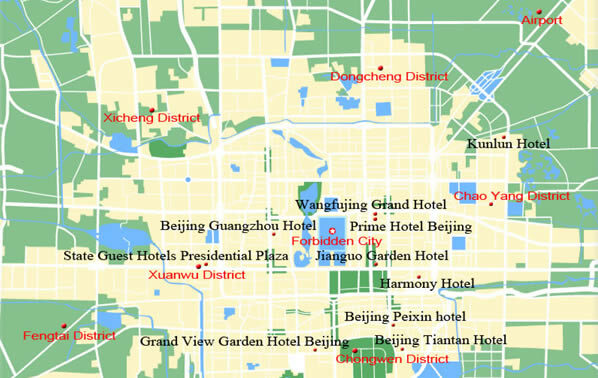 There are currently 652 star-rated hotels in Beijing. Among them 36 are five-star hotel, 79 four-star hotels and 224 three-star hotels. This map will provide you a convenient to you to find a proper hotel.